Today, Rahul Yadav is the hotshot young CEO of a 1500 crore corporation. He’s done Reddit AMAs, the media can’t stop talking about him, and he has a legion of fans that follow his every move. But less than 3 years ago, he was just another entrepreneur struggling to promote his business. Rahul Yadav’s twitter, which hasn’t been used in 2 years, offers a fascinating glimpse into the early struggles of his company. It has 21 tweets in all – and all of them are trying to promote housing.com. What the then 23 year old founder of Housing was trying to do was promote his company. 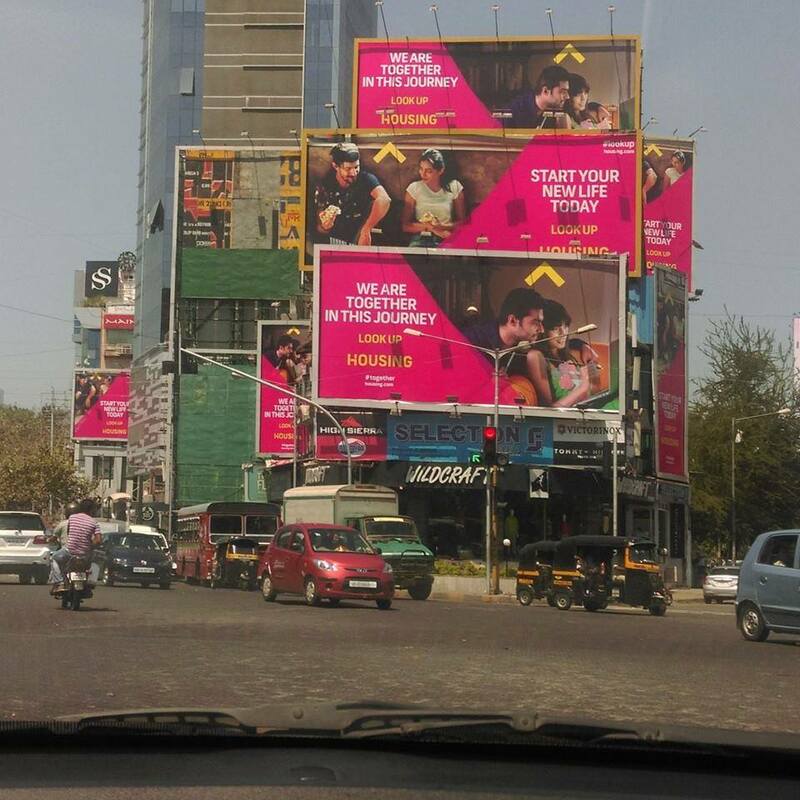 Faced with no marketing budgets and stiff competition from established regulars like MagicBricks and 99acres, Rahul chose what was a cheap but decidedly inefficient way to promote his startup. He searched for tweets that involved people looking for houses, and manually responded to each of them, inviting them to try out his services. 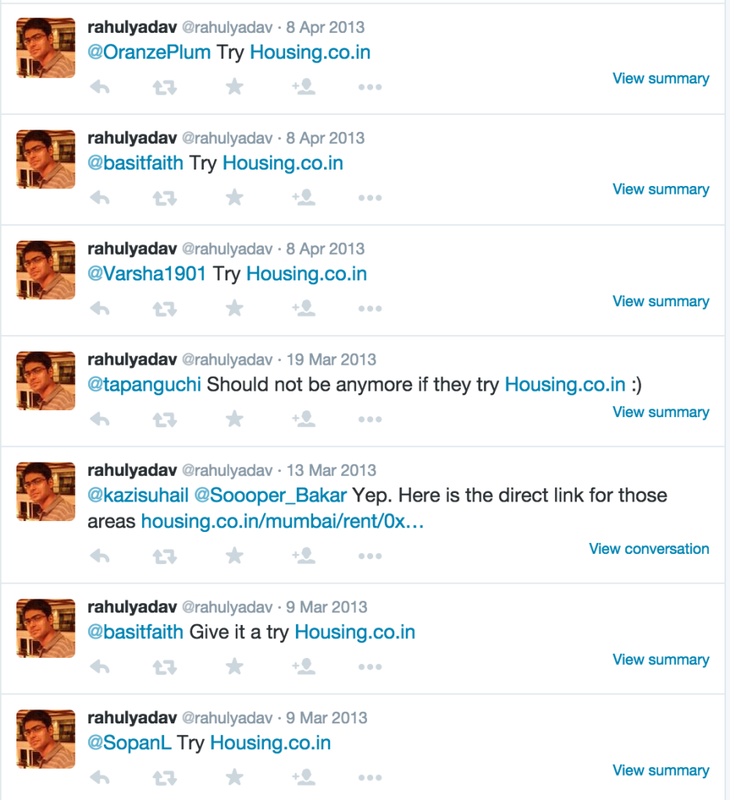 Two years on, Rahul Yadav doesn’t need to do this any more. If he wants the word about his startup to get out, he just does this. Two short years can sure change things around. This isn’t an isolated instance, though. Startup founders have famously done seemingly menial tasks while they were still bootstrapping there companies. Dhirubhai Ambani once sold bhaji in village stalls, and Sachin and Binny Bansal have personally packed and delivered Flipkart shipments. Maybe therein lies a lesson for all startup enthusiasts. Things might be a struggle at first, but you never know when success is around the corner.